You may have noticed that we haven’t posted for a while here at the Holding. We have been so busy preparing for and dealing with our new arrival! Our beautiful daughter was born at the end of June. 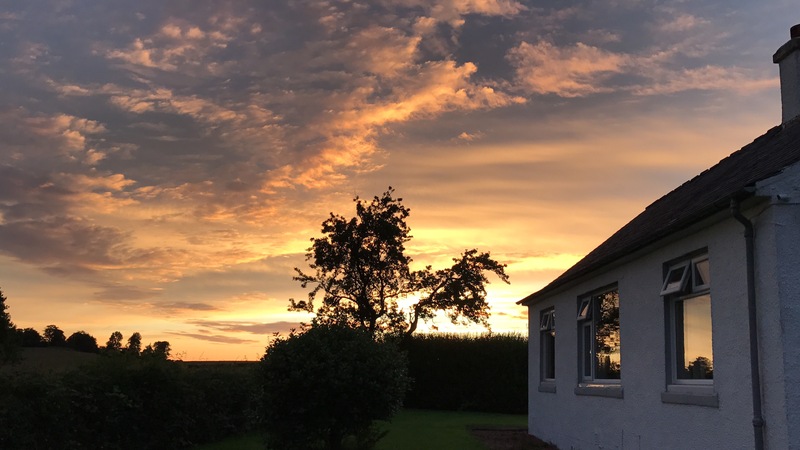 Along with the arrival of our little ray of sunshine we have had so many other things going on at the Holding from exciting births to heartbreaking deaths and crazy house renovations thrown in for good measure. We can’t wait to bring you up to speed with everything that’s been going on and share our highs and lows. We are also closely following a review of legislation which directly affects the future of our smallholding and our family’s livelihood. The Small Landholders Act is currently under review by the Scottish Government. While Aimée has been on maternity leave she has been following the review closely and corresponding with the government. We hope to share matters as they progress on this subject in the hope it may assist others who are affected directly by this legislation. With the birth of our daughter it has become even more crucial to protect our rights and push for improvements that not only benefit her future but also the future generations of smallholders. We’d love to hear from other smallholders or anyone who loves the country life with your stories. Please share links to your blogs as we’d love to read them and trade tips. 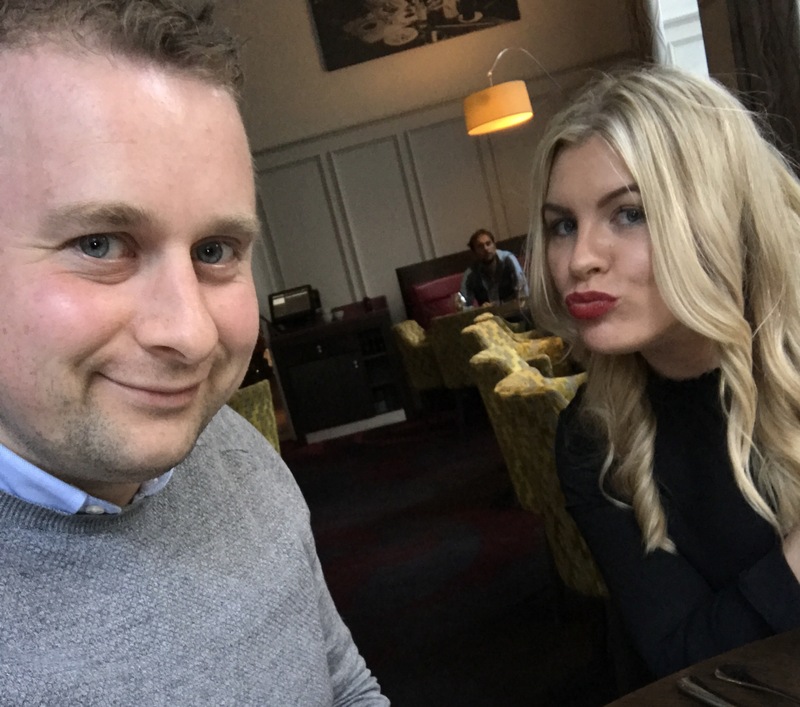 We have been quiet on our blog recently as things have been crazy busy at the Holding. We have so much to update you all with! Firstly we are now the proud owners of 11 chickens and 4 ducks! We have doubled our existing flock of 7 Light Sussex chickens with 4 Isa Brown Chicks. We now also have 2 Khaki Campbell Ducklings and 2 Aylesbury x Pekin Ducklings. 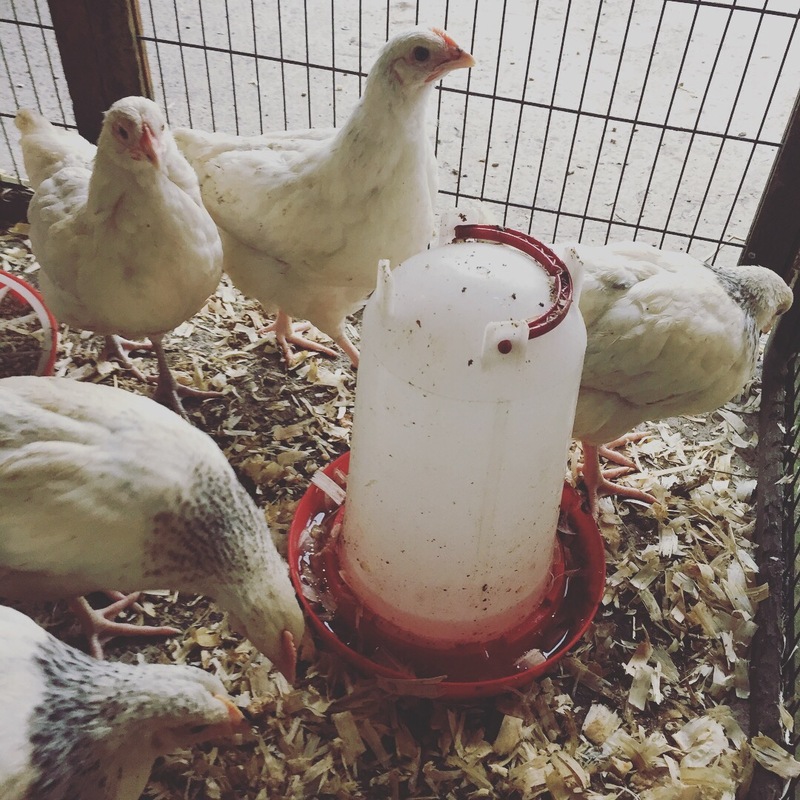 All of our new birds are only 4 weeks old and are currently housed within our barn. 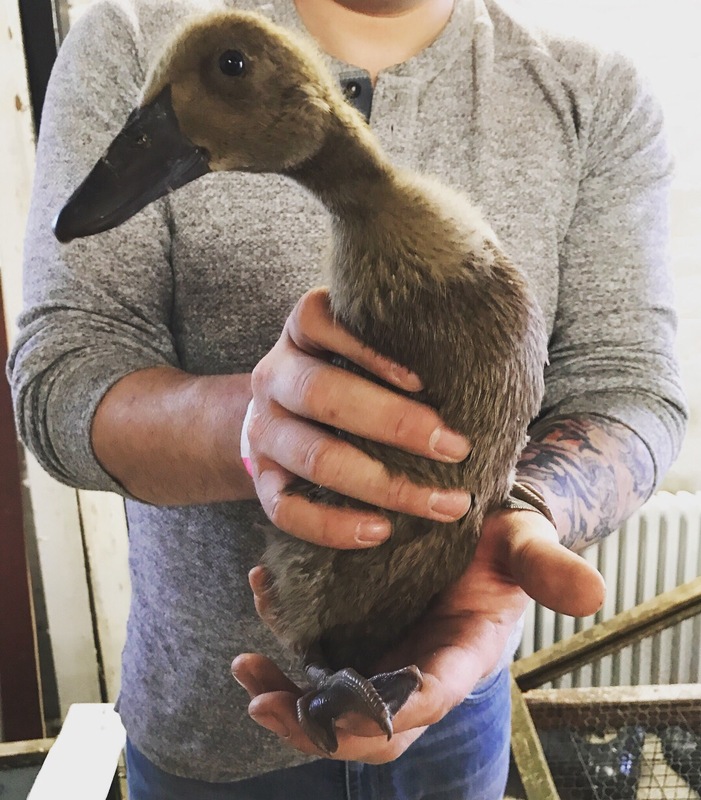 The ducklings are hilarious to watch and we are spending as much time as possible with them to get them used to us. We have been offered the loan of an egg incubator and we hope to hatch our own Indian Runner ducklings soon. 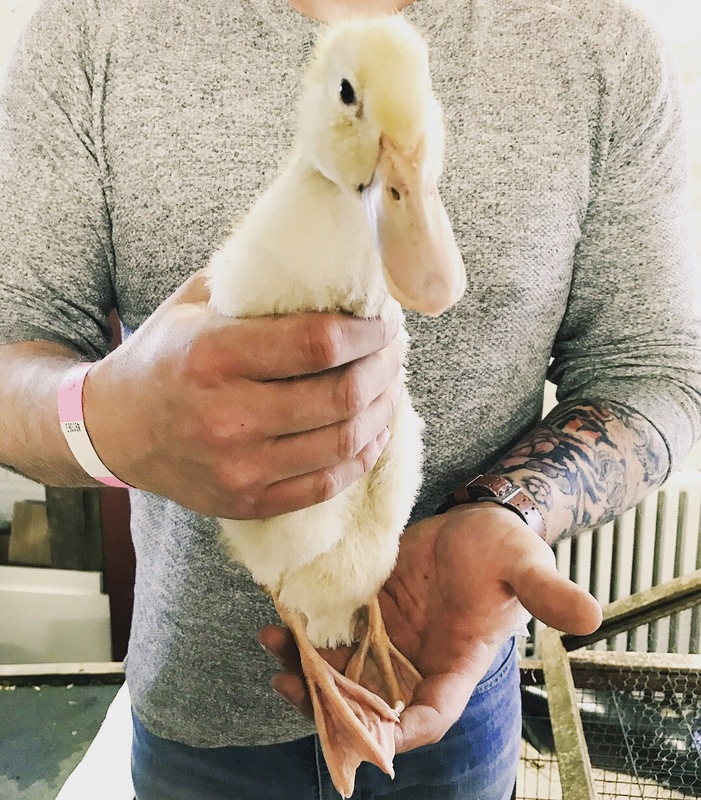 We have spent the last few days studying up on the different breeds we have and how to care for them…ducks are fascinating birds. 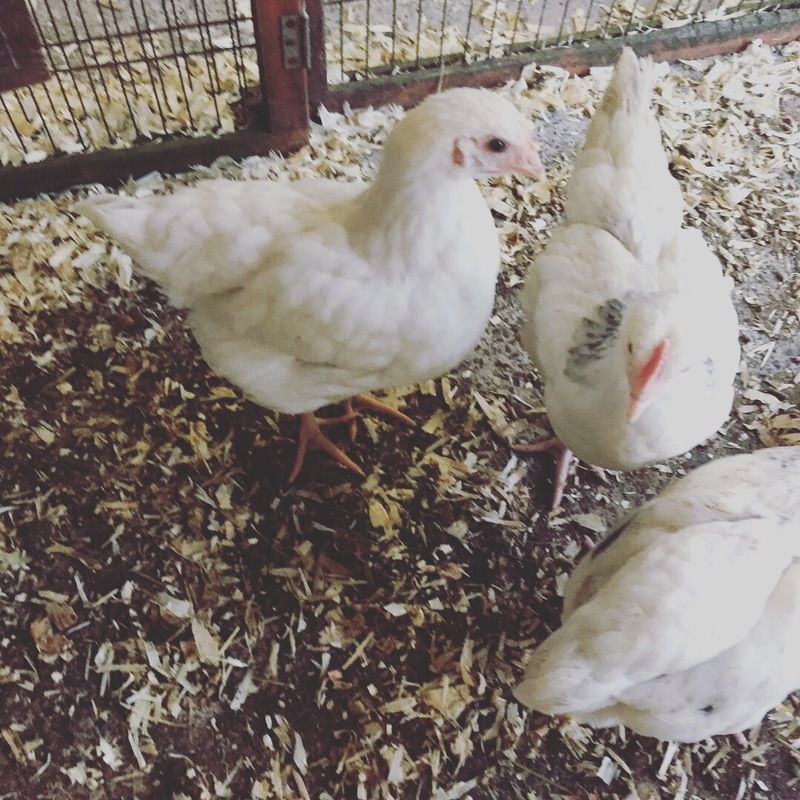 We bought our chicks and ducklings from Craigievern Poultry (based in Drymen, Scotland) who were at the Scottish Smallholders Festival in Lanark on Saturday 23rd September 2017. 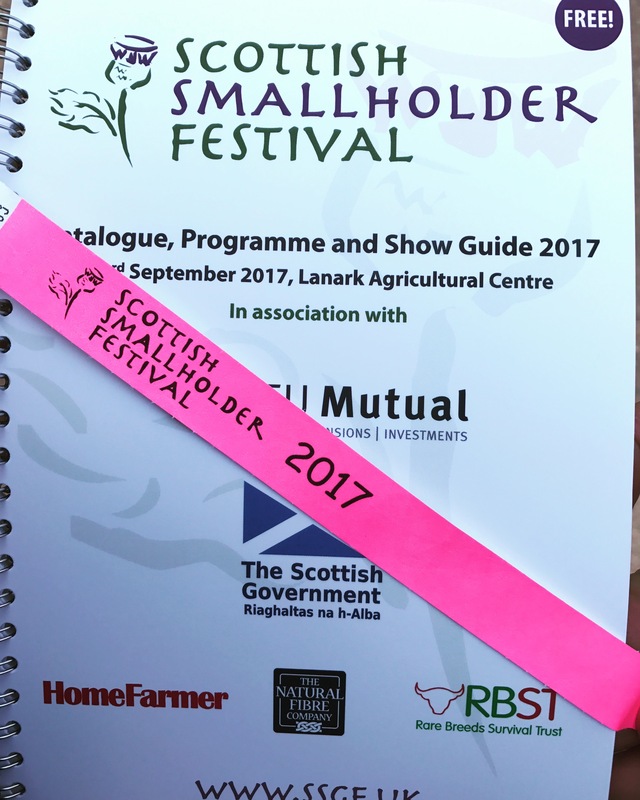 We had a great time at the Scottish Smallholders festival and gained many useful contacts. We are now members of the Scottish Smallholders Association and gained great advice from SAC Consulting regarding funding & training opportunities available to us. 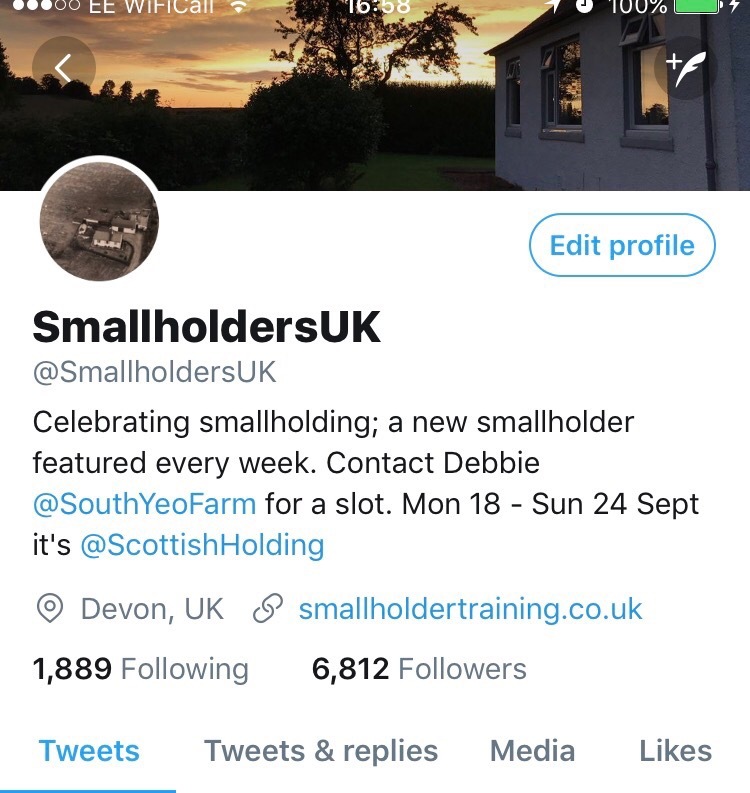 Last week we also took over @SmallholdersUK on Twitter. This was a great experience. We were initially apprehensive at the beginning as we feared that followers would not be interested in our story or our tweets for advice. We were so wrong! The smallholding twitter community is amazing and we received so many tweets filled with great hints and tips……we even found out our “cherry tree” was actually an ornamental Crab Apple Tree! Who knew that there was such a thing as #Chickenhour too!! Our twitter takeover has encouraged us to now be more proactive with our own social media and blog. We now realise the importance of documenting our story and sharing our experiences with others in the same position. We are keen to share the knowledge we gain. Find us on twitter @scottishholding. What a difference a week make…We have so many ideas as to how we can develop and expand our Smallholding. This week we made an extra effort to concentrate on planning our outdoor growing area. We have marked out an area for three raised beds for vegetables, an orchard and a spot for a bee hive. We called in our friend who happens to be a horticulturist to give us some much needed advice and assistance. She has gave us great ideas for our raised beds including alternative methods of growing specific vegetables outwith the beds. We have also been advised to create worm boxes which will enrich our compost area. A few weeks ago we planted some lleylandii hedging which was unsuccessful. The hedging turned brown and seemed to die off. We have since learned this was the effect of wind burn also known as wind scorch; a direct effect of being in an exposed area. We have never realised before now how exposed the Holding is. This has made us rethink the types of plants we can grow. We are researching solutions to this problem including looking for trees, hedges and plants which are natural wind breakers. We may have to place wind break materials around our hedging until it is established. We further discovered we have an existing cherry tree hiding in a corner of our garden area. We had no idea what this was previously however our horticulturist consultant has confirmed to our delight that it is a cherry tree. 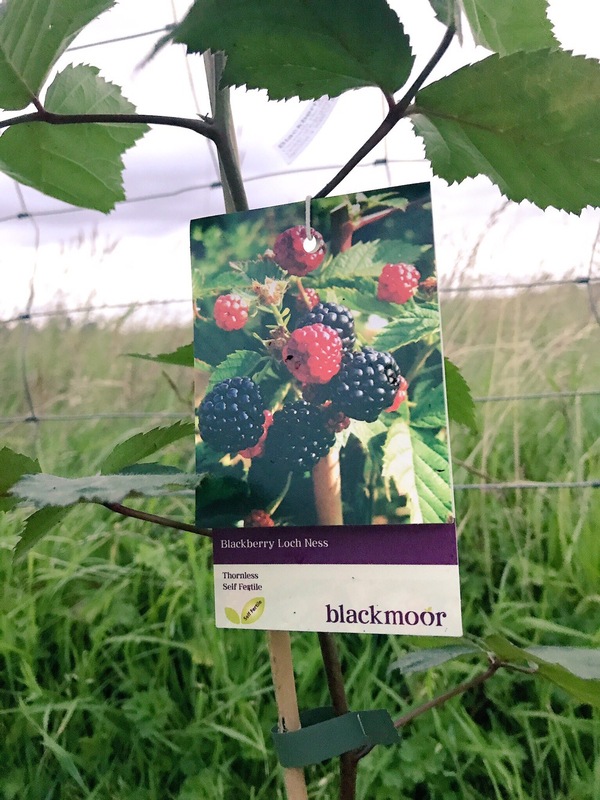 Last week we won a Loch Ness Blackberry bush over on our twitter page. Thanks to Blackmoor for our prize. This is our first fruit bush planted in our growing area. We may need to give consideration to moving this due to fears of wind burn. Blackmoor also provided us with a helpful fruit growers handbook. Looking ahead it seems we are destined for rain all week. This may hinder our plans for some fencing repairs, we do however hope to catch up on some renovations in the house. If you have any suggestions re. wind burn please let us know in the comment section. It’s been a busy week at the Holding. We have 7 new additions and we are now the proud owners of Light Sussex Chickens. They are only 8 weeks old. They are currently residing in a make shift run/rabbit hutch in our barn. We have spent most nights this week clearing space at the rear of the Holding for the chickens to move outside. This area has previously been untouched for 20+ years. We’ve had our work cutout clearing this area by hand (adding two injuries to add the ailments list). We have both been suffering from a summer cold which has hindered us somewhat. Despite it being summer here in Ayrshire we have experienced all four seasons this week, sometimes all in one day. The most extreme nights have been bleak, blowing a storm outside! We hope to have the run finished this week and move the chickens outside pictures and update to follow. We plan to have approximately 10-12 chickens to provide us with enough eggs to supply our kitchen. Today we decided to take a day off, as the sun was shining. 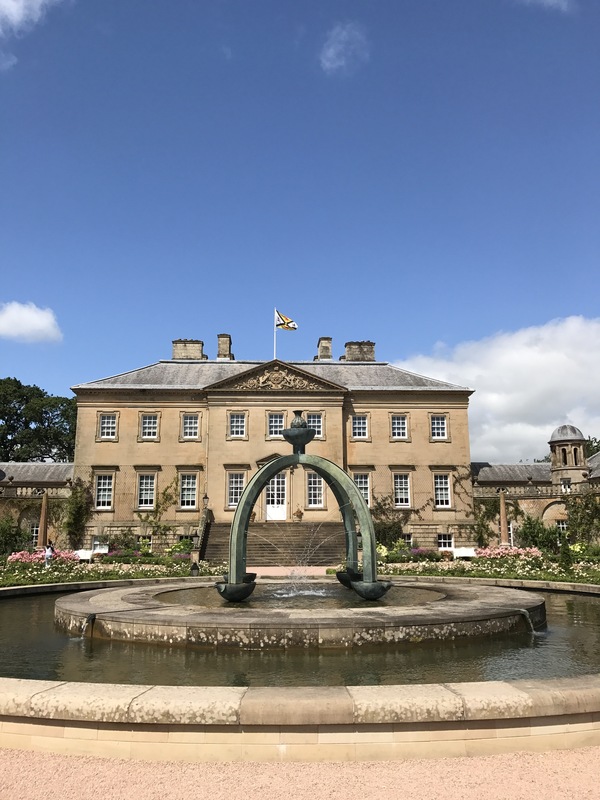 We had read an interesting article about Dumfries House in the Scottish Farmer this week and decided to take a drive down to see what all the fuss was about. We were highly impressed with the house and grounds, too much for one day. Lucky for us there happened to be a farmers market on. We will defintaely be back and are keen to visit the rare breads farm at Dumfries House. In the future we would love to attend one of tutorials showing us around the farm and on organic planting and growing. Today has been a real inspiration. We have began our journey to escape the rat race! 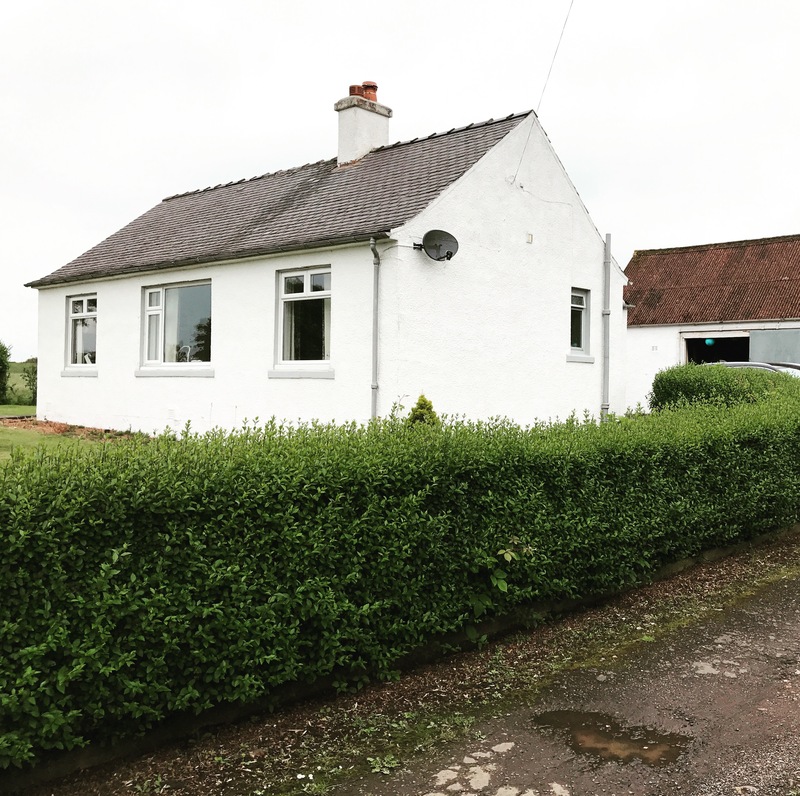 We live in our inherited smallholding with our 2 dogs and 4 cats (aka the Holding Huskies & Chateaux Cats) in Ayrshire, Scotland. The house and grounds require extensive refurbishment and renovations. We have began the internal works, with opening up the old fireplaces in 2 rooms (previously bricked up) and tackling the damp issues in the bedrooms. Overall the house will eventually undergo a change of layout to be more practical and functional. 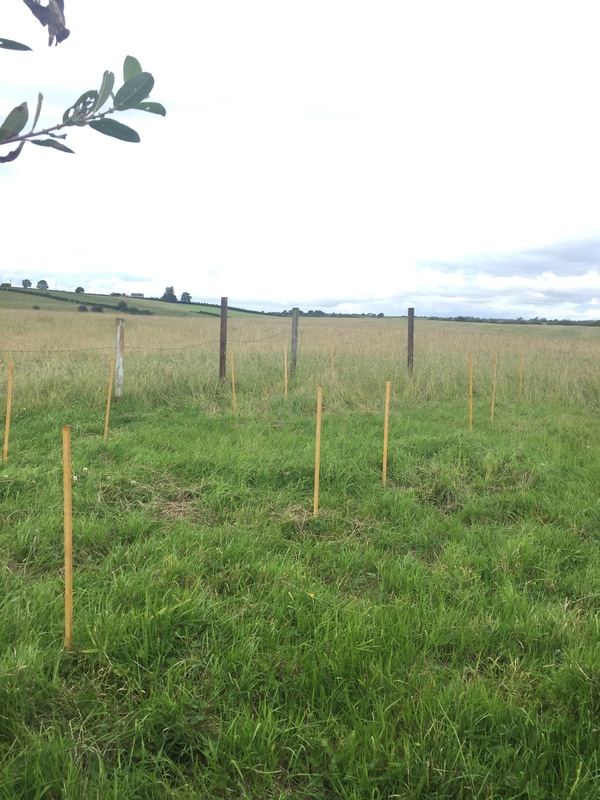 When not working “the 9 to 5″ we spend our limited free time securing the garden area and creating a workable space for growing and rearing livestock. Some of the land is currently unuseable as it will require cultivation and landscaping. The agricultural buildings including the barn also require restoration and reinstatement. We aim to create a self-sufficient smallholding within the next couple of years, with plans for an apiary & a chicken coop in the very near future. Follow us on our journey to a sustainable lifestyle and ” the good life”!